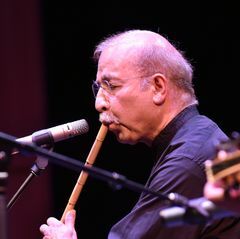 The Fowler Museum at UCLA will honor its 50th anniversary with a series of special exhibitions and programs beginning in fall 2013 and running through fall 2014. A suite of intimate, thematic exhibitions mounted this fall will highlight more than 800 artworks from the Fowler's vast, acclaimed global collections. One of the hallmarks of the Fowler Museum since its inception has been its expansive attitude toward collecting examples of the boundless creativity of humankind — whether the sculptures and masks that have largely defined non-Western art in most art museums or the personal, popular and textile arts found worldwide. "By transcending the barriers long established to separate and privilege certain categories of artistic production over others, the Fowler has invented a distinctive and ambitious niche for itself, positioned between the usual territories of 'art museums' and 'ethnography museums,'" said Marla C. Berns, the Shirley and Ralph Shapiro Director of the Fowler. Opening to the public on Oct. 13, 2013, are eight small-scale exhibitions installed in two large galleries, which spotlight particular strengths in the Fowler's collections of art from Africa, the Pacific and the Americas and feature works shown for the first time. Each takes a distinctive curatorial approach, demonstrating that collections are dynamic resources, open to interpretation and reinterpretation over time and to multiple innovative perspectives. Three of these exhibitions include interventions by contemporary artists whose practices resonate with the Fowler's permanent collections. The Fowler Museum's collections today include more than 4,500 masks, figural sculptures, shields, architectural elements, ritual objects and other items from the South Pacific island of New Guinea. 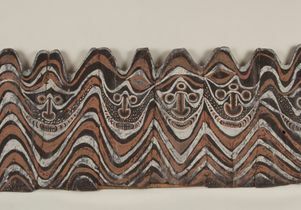 Three-quarters of these were acquired through private donations in the short period from 1963 to 1969, and most originally came from the Sepik River region, now part of the nation of Papua New Guinea. What factors, both here and in distant New Guinea, conspired to drive this surge of so-called "primitive" art to Southern California? This exhibition showcases, for the first time since 1967, more than 50 of the finest examples of Sepik art to arrive on our shores in such short order. It also explores how this massive migration changed both the art itself and the ways we think about it. This exhibition explores the power and prevalence of "two-ness" in Yoruba art and thought with an impressive display of more than 250 carved-wood twin memorial figures known as ere ibeji. The Yoruba, who live in southwestern Nigeria, as well as Togo and Benin, have one of the highest rates of twinning in the world, and special attention is paid to twins, both during life and after. These works from the Fowler's extraordinary collection display a remarkable stylistic range and illuminate issues of apprenticeship and mastery, local innovation and invention; their surfaces and adornments show how they were treated and transformed once they left the sculptors' hands and moved into the hands, hearts and minds of family members. A newly commissioned installation by contemporary artist Simone Leigh will incorporate hundreds of the West African plastic dolls, which sometimes substitute for the carved figures, in a dramatic suspended work that further comments on the Yoruba concept of doubling. In 19th-century southern Africa, highly individualized arts of personal adornment experienced a florescence among isiZulu speakers, who today are known as the Zulu. Personal objects worn on or carried around the body were made with considerable aesthetic investment, and they announced status and identity. Intimate objects like ivory hairpins and snuff spoons were worn in elaborate hairstyles; beautifully crafted snuff bottles were worn against the body, suspended from belts and necklaces; and finely sculpted staffs and clubs carried by all adult men were prized possessions. Men and women wore intricately sewn, jewel-colored beadwork to accentuate bodily "zones of power": Necklaces drew attention to the head, beaded fringes and belts highlighted the reproductive organs, and bracelets and anklets emphasized the hands and feet. "Powerful Bodies" includes 79 fine examples of such objects, which are often imbued with the physical traces of their former users. When the ancestors of the Maori people sailed to Aotearoa (New Zealand) roughly 900 years ago, they became the first Polynesians to settle a land outside the tropics. Previous generations of Polynesians had little need for clothing and made thin, beaten barkcloth, more for ceremonial purposes than for warmth. 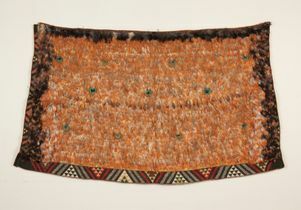 In Aotearoa, Maori women abandoned barkcloth and turned instead to the harakeke plant (New Zealand flax), developing new techniques to twine its fibers into garments by hand, without the benefit of a loom. The finest cloaks, including some covered with stunning, iridescent feather-work, transcended practical needs and became treasured markers of prestige. This exhibition features 13 rare and beautiful 19th- and early 20th-century cloaks, shown publicly for the first time since their arrival in Los Angeles in 1965 as part of the major gift from the Wellcome Ethnological Collection in London (see "History of the Fowler" below). To celebrate this event, the museum has invited a panel of Maori artists and scholars to comment on the cloaks and their ongoing meaning and relevance, and will screen in the gallery a video of excerpts of their fascinating discussions. The tradition of weaving textiles with four finished edges — selvages — characterizes the creative process of the ancient weavers of Peru, known for their mastery of color, technique and design. Without cutting a thread, each textile was woven to be what it was intended, whether a daily garment, royal mantle or ritual cloth. This approach to weaving required the highest level of skill, even for the simplest of plain, undecorated cloth, and reflects a cultural value in the integrity of cloth — not only in its design and function but in the way in which it was made. This exhibition highlights selections from the Fowler Museum's noteworthy collection of pre-Columbian textiles and includes masterworks that demonstrate the extremely high level of artistic achievement of Peruvian weavers. These range from ancient ritual textiles from the early Chavin and Paracas cultures (500–100 B.C.E.) to the extraordinary garments of the Inca empire (1485–1532). While exploring the origins and development of this approach to weaving, the exhibition will also examine its influence on three contemporary artists ― Shelia Hicks, John Cohen and Jim Bassler — each of whom, through his or her own artistic path, has considered and transformed ancient weavers' knowledge and processes into new directions. Chicana artist Amalia Mesa-Bains is working with the Fowler Museum's collections to create "New World Wunderkammer," which will include three "cabinets of curiosity" representing Africa, the indigenous Americas and the complex cultural and racial mixture (mestizaje) that typifies the New World. Over two decades, Mesa-Bains has created installations that intervene in and disrupt the conceptual foundations of European museum collecting and display. "New World Wunderkammer" will be the first time she has utilized the holdings of a major museum to recontextualize hundreds of objects within the themes of memory, struggle, loss and wonder. Following both a personal and professional trajectory, Mesa-Bains will weave elements from her previous installations into this work. The space will be completed by eight new prints made by the artist based on key pieces from the Fowler collection; images of artifacts will be layered with botanical, cartographic and historical photographic references. This "theater of wonder" will animate the cultural landscape and human geography of the New World through objects of beauty and narratives of power. Purchased for the museum in 1969 by the late actress Natalie Wood, the Fowler's Chupícuaro holdings are its most important collection of ancient Mesoamerican art. 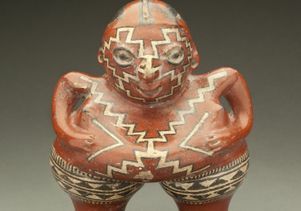 A selection of more than 100 ceramics (out of a total 620) will be exhibited to represent crucial phases of Chupícuaro history (600 B.C.E.–300 C.E.) and to illustrate key categories of the ancient society's material culture. Necklaces and other forms of personal adornment, musical instruments, tripod serving vessels, and elegant containers, many of which feature striking animal and human imagery, are juxtaposed with majestic polychrome hollowware female figures and delicate miniature anthropomorphic and zoomorphic figurines for which the culture is increasingly celebrated. This installation will feature the full breadth of Chupícuaro's remarkable ceramic accomplishments. The Fowler's Natalie Wood Collection of Chupícuaro ceramics is the largest and most important group of objects existing outside of Mexico from this important site, which was flooded and destroyed in 1949 by the building of the Solis Dam. "From X to Why" focuses on the Fowler Museum's formative history through its earliest acquisitions. These works reveal the strength and breadth of the collection and foreshadow the Fowler's role as one of the premier museums for preserving and exhibiting works of art from cultures around the world. The installation begins with the very first object to enter the collection, a magnificent Balinese ceremonial textile, and continues with 35 objects, including African masks, American Indian pottery and basketry, Latin American ceremonial dress, Peruvian vessels, Indonesian puppets, and European Carnival masks, some from a spectacular gift that changed the course of the Fowler's history: 30,000 items from the Wellcome Ethnological Collection in London. The exhibition also addresses how objects assumed new lives in the museum context. The Fowler staff assigns a number with the prefix "X" to every object that enters the collection. "X" signals the transition to a new identity and marks the point of contact between cultures and disciplines facilitated by the Fowler through its exhibitions, publications and programs. In addition to the exhibitions listed above, the Fowler in Focus gallery, which is inside the long-term display "Intersections: World Arts, Local Lives," will feature two rotations of new gifts made to the Fowler in honor of this 50th anniversary milestone. The first installation will highlight textiles and dress from Asia, among other things. 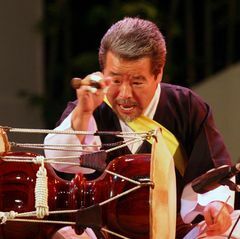 The museum was established in 1963 by then–UCLA Chancellor Franklin D. Murphy as the Museum and Laboratories of Ethnic Arts and Technology. Its first home was in the lower level of Haines Hall on the UCLA campus. In addition to active collecting, the museum initiated research projects, fieldwork, exhibitions and publications. Within two years of its founding, the museum received a transformational donation that propelled it into the top tier of museums holding African and Pacific arts: 30,000 objects from the celebrated collection of Sir Henry Wellcome. Wellcome, a noted businessman, philanthropist, patron of science and co-founder of the British pharmaceutical company Burroughs Wellcome, was a passionate collector of medical artifacts and objects relating to life-cycle rituals and wellness. Prior to his death in 1936, he amassed a vast and diverse collection of more than 1 million objects. 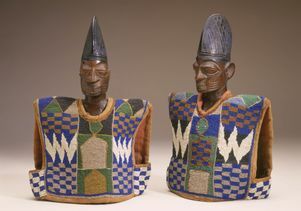 Over the past five decades, the Fowler collections — focusing on Africa, Asia, the Pacific and the indigenous Americas — have grown to more than 120,000 objects (with additional archaeological collections of more than 4 million items), and the museum has become one of the nation's premier repositories of world arts. To date, the Fowler has presented more than 258 exhibitions and published 132 books, most of them major scholarly volumes. The current facility, built especially for the museum in UCLA's north campus area, features approximately 20,000 square feet of exhibition space. It opened in September 1992 and was named in recognition of lead support by the Fowler Foundation and the family of collector and inventor Francis E. Fowler Jr.
To commemorate this landmark anniversary the Fowler will publish a lavishly illustrated book featuring more than 250 objects that are the highlights of the museum's collection. (Hardcover, ISBN 978-0-9847550-6-6). The Fowler Museum at UCLA is one of the country's most respected institutions devoted to exploring the arts and cultures of Africa, Asia and the Pacific, and the Americas. The Fowler is open Wednesday through Sunday from noon to 5 p.m. and Thursday from noon to 8 p.m. The museum is closed Mondays and Tuesdays. The Fowler Museum, part of UCLA Arts, is located in the north part of the UCLA campus. Admission is free. Parking is available for a maximum of $11 in Lot 4. 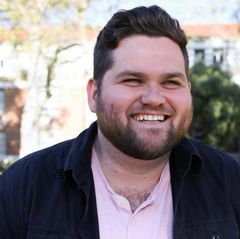 For more information, the public may call 310-825-4361 or visit www.fowler.ucla.edu.